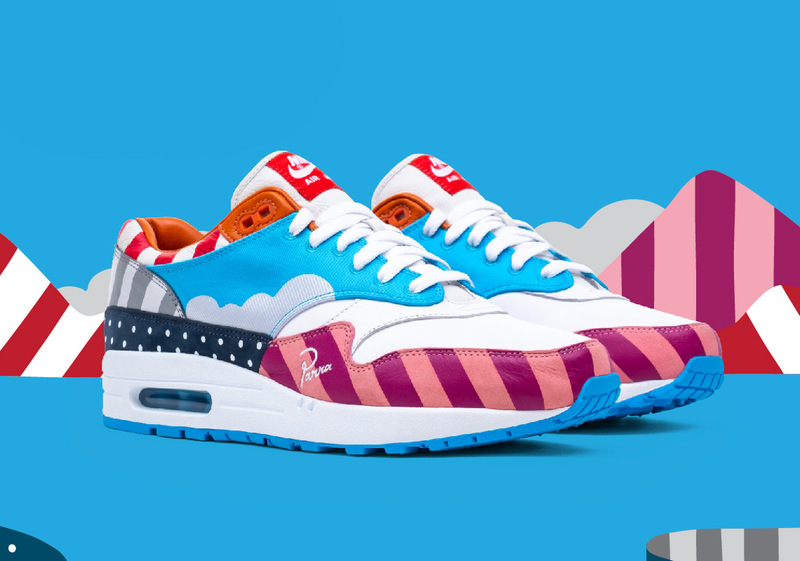 Dutch artist Parra’s collaborative relationship with Nike and its Sportswear subsidiary is set to continue by way of a four-piece collection. Centered around the legendary Air Max 1 silhouette that will drop in two iterations, it will also include a track jacket as well as a Zoom Spiridon. 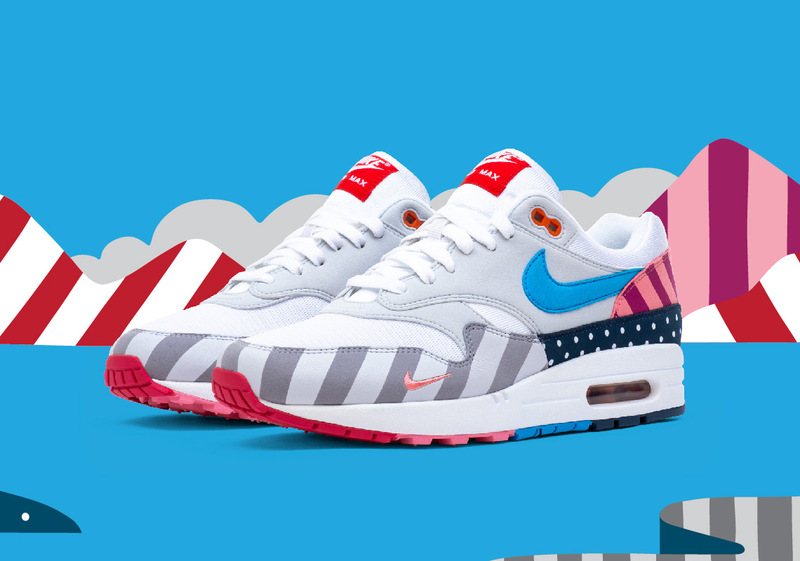 While you have already seen images of the first Air Max 1, we are here now to bring you a look at the Friends and Family version as well as that matching track jacket. Bearing a striking resemblance to the original pair we showed you, the major differences come by way of a blue panelling on its midfoot that gets partnered with the bottom of a cloud graphic as well as red candy striping around its ankle collar and a leather orange instep. It also comes equipped with a solid blue outsole and pink and purple striping around its mudguard as opposed to the grey and silver of the regular pair. Finally, the matching windbreaker utilizes graphics that are spread across each piece of footwear from the multiple colored versions of candy striping to the blue and white polka dots. 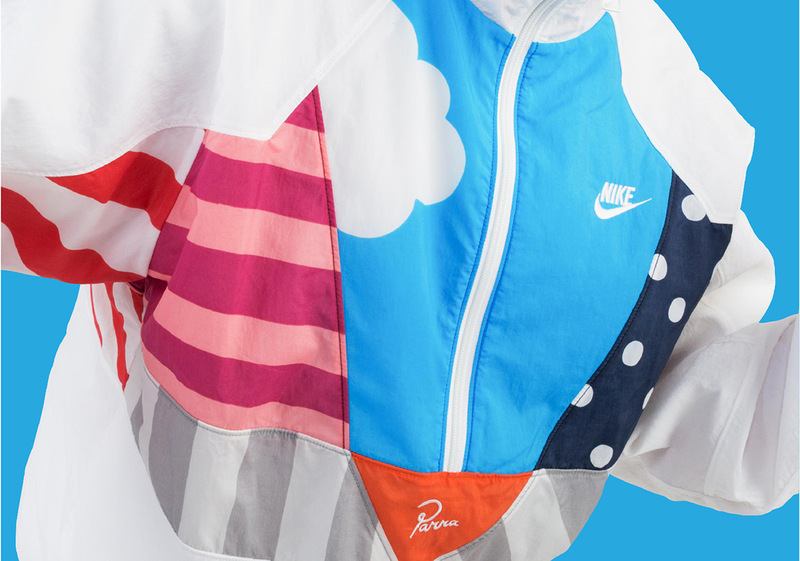 Nike and Parra branding finish off the jacket in style, that is set to join the rest of the collection as it releases at select shops on July 21st. Take a look at three of the four pieces here and stay tuned for more updates as we have them. 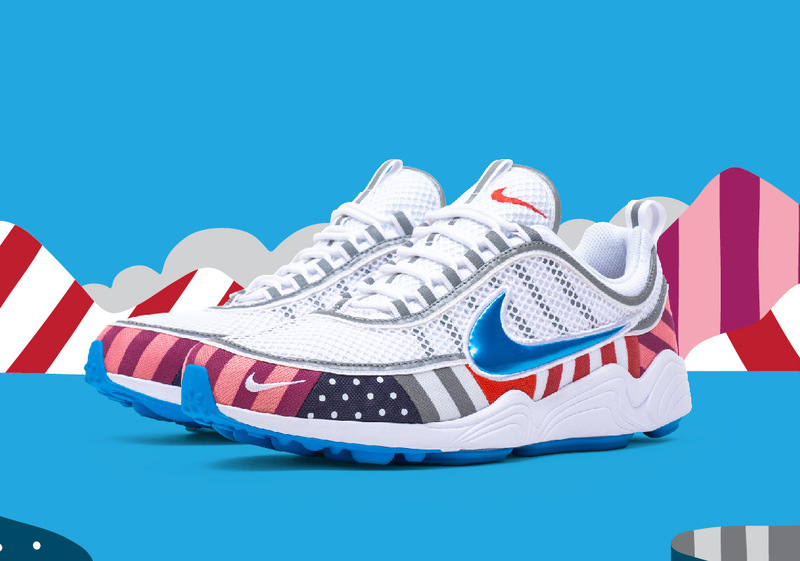 Update: Nike x Parra collection Where to Buy List.